We offer a relaxing and welcoming stay at Brae House - just a 10 minute drive from both the A1 at Berwick upon Tweed and Duns. 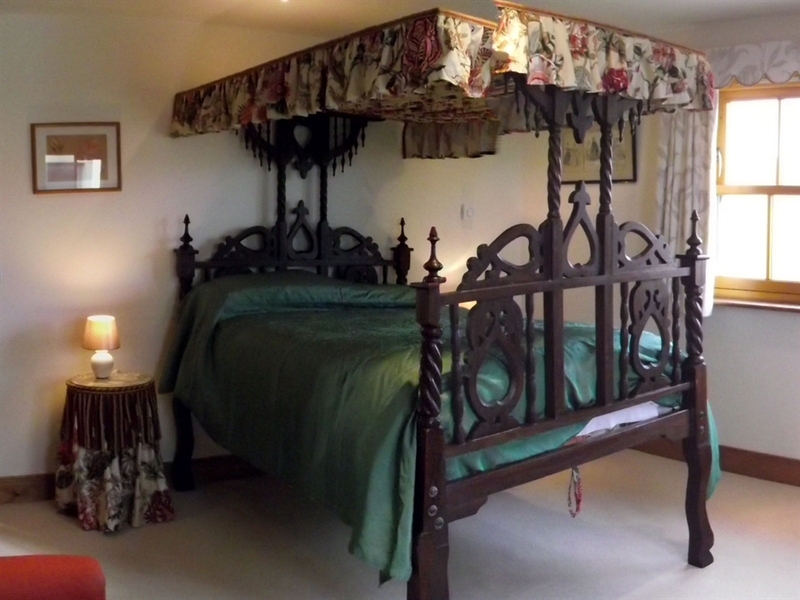 We have 1 twin and 2 double rooms - one with antique 4-poster bed. All are tastefully furnished and have quality en-suites. Brae House has one Double room, one Twin and one 4 Poster double. All rooms are large, bright and spacious, with lovely views over the countryside. Guests can relax by our wildlife pond and enjoy the garden. We offer both a traditional cooked breakfast and a lighter continental style breakfast which is served in the dining room overlooking the countryside. Being just a 10 minute drive from the A1 and both the market town of Duns and the historic town of Berwick upon Tweed - we are in an ideal location to explore this beautiful area or to break your journey when travelling further north in Scotland or south. The area offers cultural attractions with castles, country houses and gardens to visit, along with beautiful scenery, wildlife and other attractions for nature lovers. Easy access to the coast, St Abbs Nature Reserve and Coldingham beach. Holy Island is approximately 25 minutes drive. Edinburgh and Newcastle 1 hour. Ideally situated for touring both Berwickshire and Northumberland. Private parking. Wi Fi available. Please telephone or email to check availability / to book.